I'm not saying they're "wrong", more that I don't think it's all "necessary" or is phrased in a way that may make certain things **seem** weaker that they are .. but I guess if you're looking at it from an "as secure as possible" standpoint it's got some useful stuff in there. The little things I'm not overly convinced about are things like AppArmor profiles .. unless you make them yourself. It's just little things, I'm not saying it's not a useful article. And in overlooking 18.04 not having gksu they've overlooked pkexec/PolicyKit policies. They also suggest "Several third-party anti-malware products exist which attempt to detect malicious code for this platform" .. I don't see these as necessary or beneficial, and they may be an attack vector in their own right. Would you be happy entrusting your cyber security to GCHQ anyway? Overall Ubuntu and Pepprmint look to me like tight ships. The existence of the Apport feature in Ubuntu catches my eye, though I've never seen any equivalent feature to Ubuntu's Apport in Peppermint. 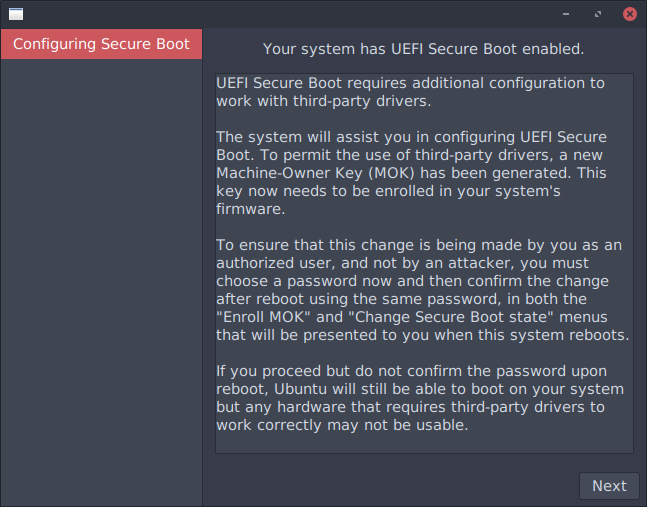 Practically speaking however, to the average end user of Ubuntu, I doubt Apport would pose much of a risk either. Still this is still good info to be aware of. Thank you, VinDSL. Been working fine for hours. That's good enough for now, I suppose. Still this is still good info to be aware of. Thank you, VinDSL. I've set the 'UNIX password', off n' on, over the years. Sometimes, I actually need root auth for something I'm doing, but it's rare. I don't do it out of rote. I guess it wouldn't make any difference, from a security standpoint, unless someone had physical access to a machine, like a laptop for instance, and booted with root auth via the recovery mode. What are the chances of that? Most thieves are winders users. Dittos for the firewall. My LAN is behind a NAT router (which mimics a firewall). Good luck finding a machine behind a NAT. So, really, what difference does it make? I'm still in a 'testing mode', I guess, seeing what works and what doesn't. That said, I always use Secure Boot, when given the opportunity, so I'm tickled pink having it working in 4.15, even if it is a haxor. Speaking of which, I stripped that signed image out of a meta package, and installed it manually. Synaptic bulks at it - wants to downgrade to the unsigned image that it replaced. So, I don't recommend anyone trying this, just yet. I was thinking about this signed/unsigned situation, while I was sleeping last night, and the Canonical Kernel Team has been designating signed kernel in the file name, in the past. Now, it *seems* that they've swung the opposite direction, and started designating unsigned kernels in the name. I *wonder* (and wander) if they are going to make all future kernels signed, e.g. the new norm. Anyway, I ran across that signed kernel image purely by chance. I didn't realize it was signed until Synaptic went nutz. I think that's the plan as a signed kernel will still work on a non UEFI system .. otherwise you'd need 2 kernels on a LiveUSB (which they used to have, now they only have one, it's not designated "signed" but it is). Well, how cool is that?!? 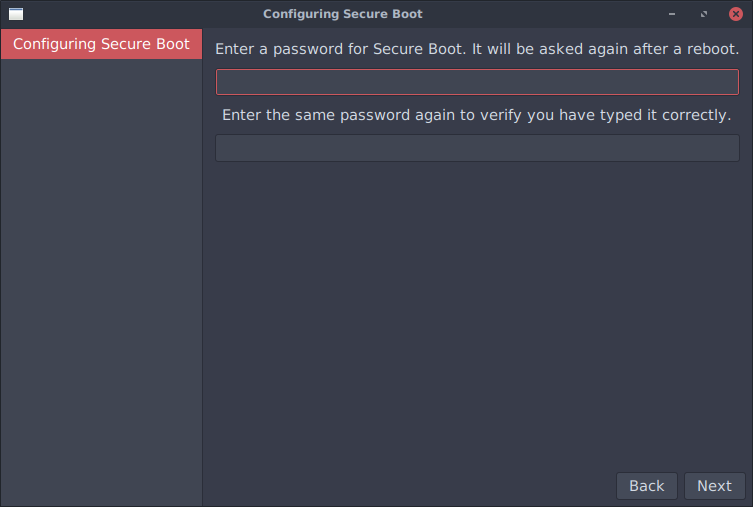 I just generated/installed my own custom Secure Boot key @ first boot.